Put two pieces into the Contemporary Art Society of Victoria’s annual Collectors’ Exhibition, but I wasn’t collected! Falling – Moment: Across the sky, the ancestral women dance. A baby cradled in a coolamon falls to earth. The moment is frozen. Past is present. Shattered rocks, desert polish, a dancing circle. Gorges – Walking piece: Walking the land, feel the layers of stories, imagine. The gorges are in deep shadow. And yet they glow. Find your way. Inside the land is too deep for us to know. The entry form posed some interesting questions and got me thinking! What part of the process do you like best? Working in the clay, making in a series. Surrounded by dry, stony bush. The light is strong. Ants march across the floor. A beautiful space with changing light and life. What kind of (formal & informal) art training have you had? 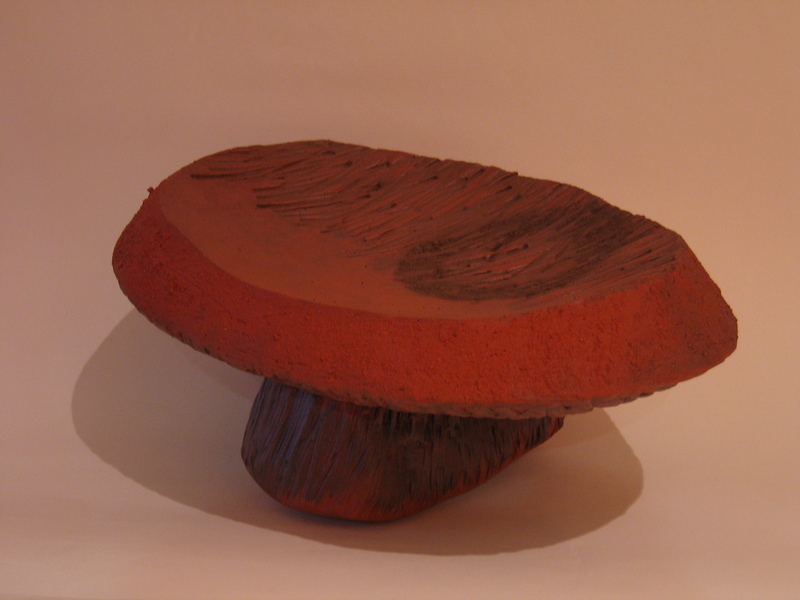 I recently completed Diploma of Art at Canberra School of Art (ANU) – in ceramics. Before that, some TAFE and learning from studio potters. How has your art training affected the kind of art you produce? It has helped me focus and persist. I love gesture, movement, touch. Jane Sawyer’s ceramics are a strong and continuing influence. And I love the free and exuberant painting of painters like Dora Wari, Ena Nakamarra Gibson, Ruby Tjangawa Williamson from Central Australia. What has been the most difficult thing you have encountered in your art career? Earth, water and fire. 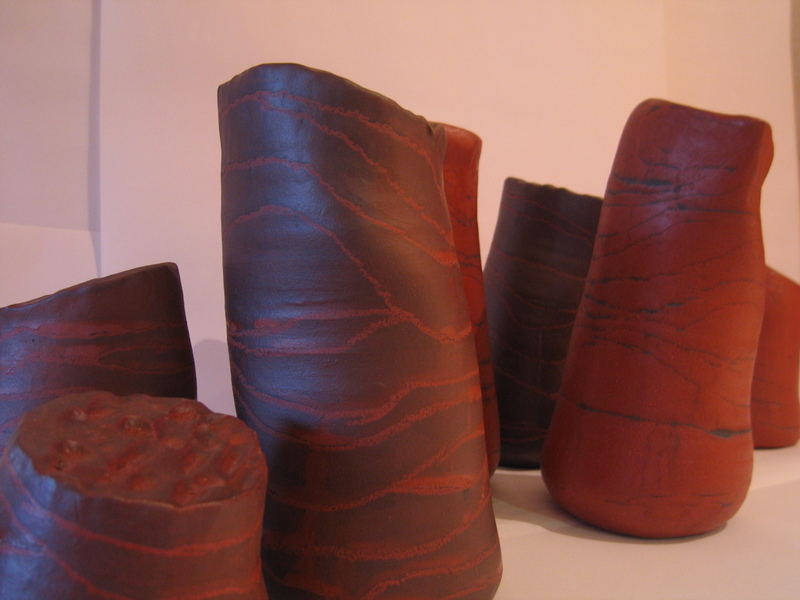 Clay is demanding and delightful – plastic and cracking. The kiln is magic – sometimes black! Learning to test and test again. And to find a way. Have there been any major turning points in your art career? Not yet. The biggest and best step has been creating a space where I am outside my everyday, to reflect, explore, lose myself in the making. What has been the highlight of your art career? Creating two installation works reflecting my passion about the land and how it shapes us.